Acer has launched the Acer Liquid Express, its first smartphone to come with near field communications (NFC). 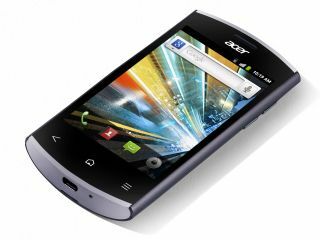 As well as the contactless payments know-how, the Acer Liquid Express comes with a 3.5-inch screen, an 800MHz Qualcomm 7227 processor, 5MP camera and Android 2.3 (Gingerbread). Although it may be the first of Acer's NFC handset, the company promises it won't be the last, saying that all of its forthcoming Android smartphones will rock the technology. While most of its competitors scrambled aboard the NFC bandwagon after the announcement of the Google Nexus S and all its contactless payment promises a the tail end of 2010, Acer has hung fire until now. But will it have hurt the brand? Probably not, since most mobile wallet schemes are yet to take off in a big way. Still, it does seem strange that it's taken Acer so long, particularly with Allen Burnes from Acer describing it as "a technology of the future" and "a priority for Acer". Seemingly exclusive to Everything Everywhere, the Acer Liquid Express will hit the UK's Orange and T-Mobile stores from today. You can pick it up for free on T-Mobile's £15.32/month contract, or on Orange's £20.50/month deal – both run for 24 months.